Back to: New for 2019! Rent an LED Air Hockey Game Table - Fast paced fun for all! Create your very own game room. Perfect for your next Pub Night, Company Party, or Birthday Party entertainment. 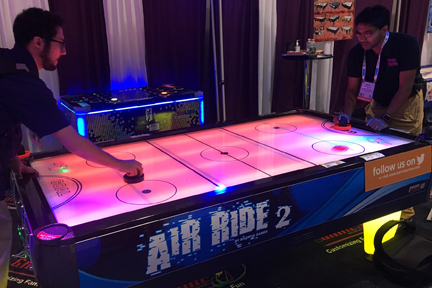 LED Air Hockey Table - Raise your air hockey game to the next level with our Air Ride 2 table! Led scoring, light up legs, and table top make this fast-paced fun game even more fun! Perfect for your next Pub Night, Company Party, or other special event.